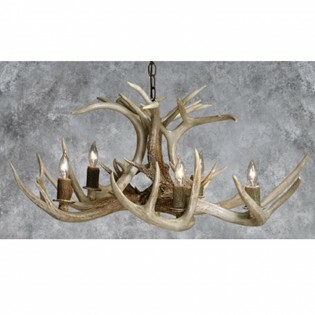 Compact and more curvaceous whitetail antlers are used here to achieve a more petite light fixture on this Tamarack Whitetail Antler Chandelier. 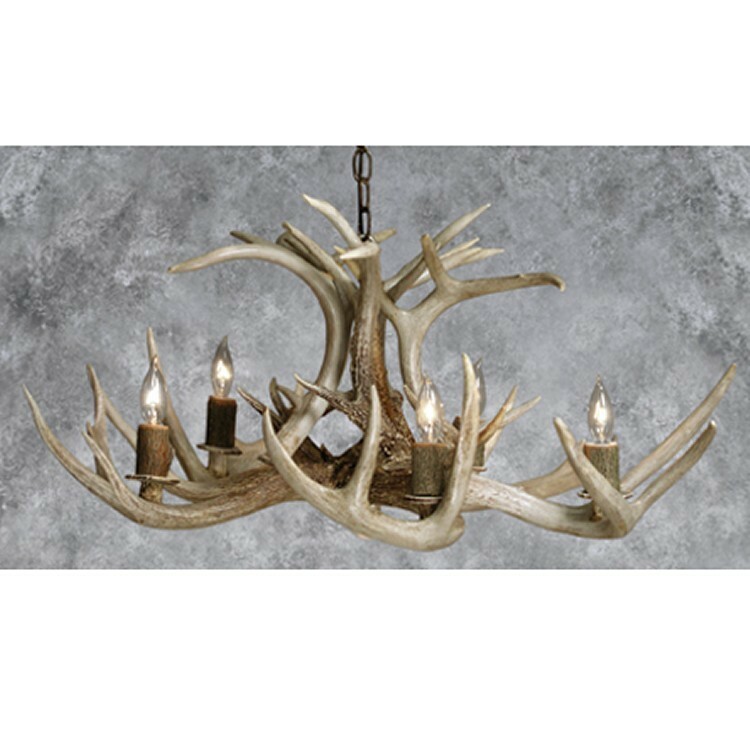 Compact and more curvaceous whitetail antlers are used here to achieve a more petite light fixture on this Tamarack Whitetail Antler Chandelier. Use this rustic chandelier in more unexpected places, the powder room, guest bedroom or home office.